Cable Switch A – cable release for cameras equipped with electromagnetic shutters. Length: 1 meter. Cable Switch F – triggers auto focus and trips the shutter of SF, Z/PZ, and MZ/ZX-series bodies except MZ-S, and MZ-6/ZX-L. It has a “lock” switch for keeping the shutter open without keeping constant pressure on the release button. In addition, it features a receptacle for attaching the cover of the body’s remote socket. Cable Switch CS-105 and Cable Switch CS-130 – trigger auto focus and trip the shutter of the MZ-S. The CS105 has a length of 50 centimeters and the CS130 — 3 meters. Cable Switch CS-205 – triggers auto focus and trips the shutter of the MZ-6/ZX-L. It plugs into the body via a "standard" 2.5 millimeters stereo jack. 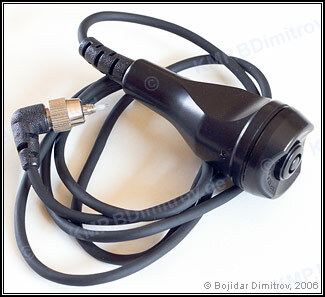 MD Remote Cord – connects to the release socket of Ni-Cd Battery Pack LX or M. Can be used to release the camera’s shutter. Length: 5 meters. Remote Cord A – connects to the release socket of Motor Drive A. Can be used to release the camera’s shutter. Length: 5 meters. 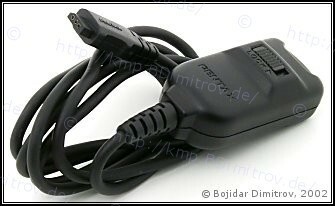 Trigger Cord M – Attaches to the release socket of Ni-Cd Battery Pack LX or M on one end and to a remote-control accessory on the other. As a special application, two such cords can be used for simultaneous operation of two cameras. 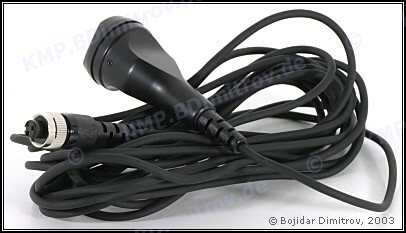 Winder Remote Cord – connects to the release socket of Winder LX and Winder ME II. Can be used to release the camera’s shutter.